The Mastiff, also known as the Old English Mastiff, is a gentle, loyal companion. This laid-back, dignified dog bonds immediately with people and enjoys attention. One of the heaviest dog breeds, a male Mastiff can weigh more than 200 pounds. To keep their giant bodies healthy, they require lots of exercise. 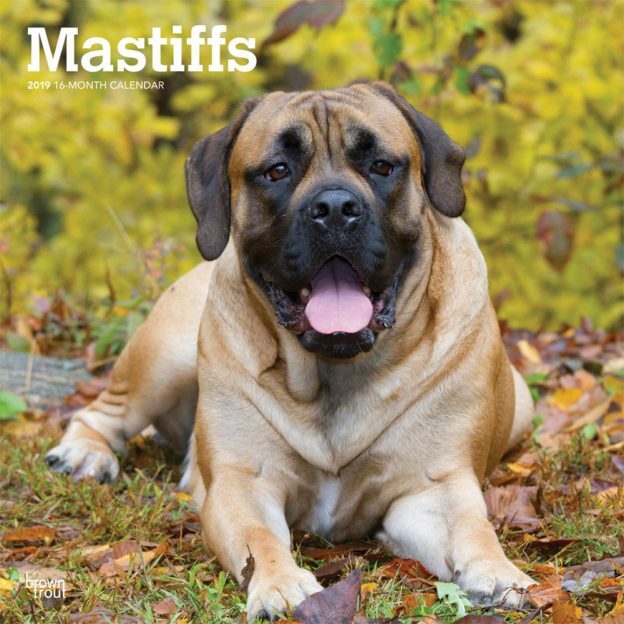 Mastiff lovers will enjoy this beautifully photographed square wall calendar. This calendar includes a free download of the DogDays™ app for the smartphone and tablet, which grants access to the world’s most captivating dog photos and backgrounds, fun puzzles, and a calendar featuring your favorite furry friends. This entry was posted in Calendar Showcase, Dog Breed on March 4, 2019 by dogdaysapp.